I vowed at the close of 2015 to get out of my jeans rut and start wearing the clothes in my closet that I had collected and never worn. Well I'm doing just that! I have so much vintage! I love everything vintage and that includes the fashion. 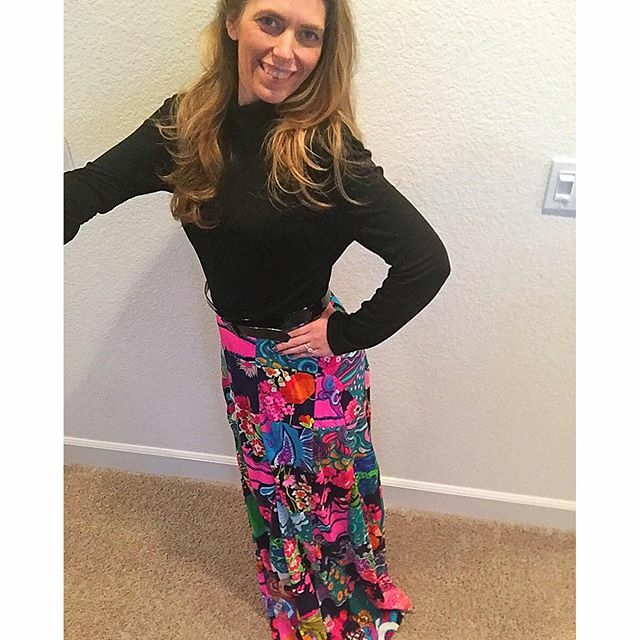 I love when I can find a good vintage piece of clothing and show it off. The first two dresses I've had in my closet for at least the last 5 years and I finally put them on. This dress is from the late 1960s and it's fabulous. 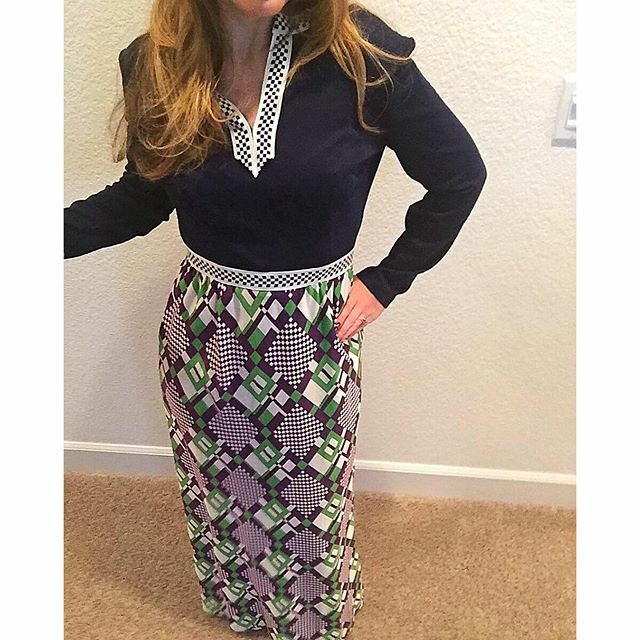 The pattern, the long sleeves and the colors are vibrant and different. This dress was originally purchased by my mother. I had thought at first I would cut it off and make it into a shorter dress. Then the thought of actually taking scissors to this amazing vintage find horrified me. 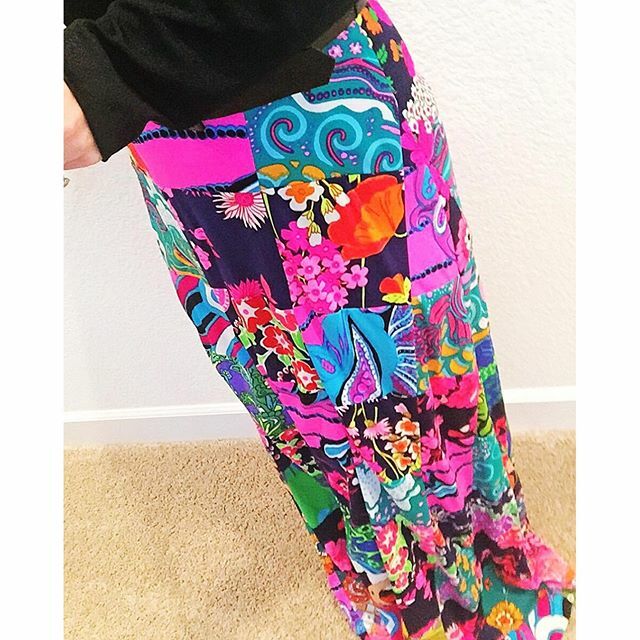 It's patchwork maxi skirt attached to a black turtleneck makes it a true vintage gem. The colors are so vibrant! This dress was acquired when I moved to California. 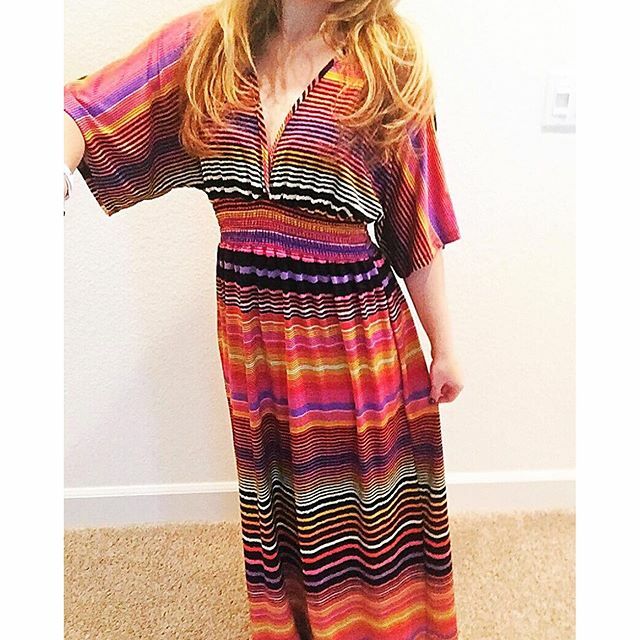 It's not vintage but I love that it's a maxi. It's also very cool to wear in the hot summers. California has had hotter temps this past week so it was time to bust it out. I didn't want to dress overly green in the office so I went with the tribal print shirt that has accents of green. 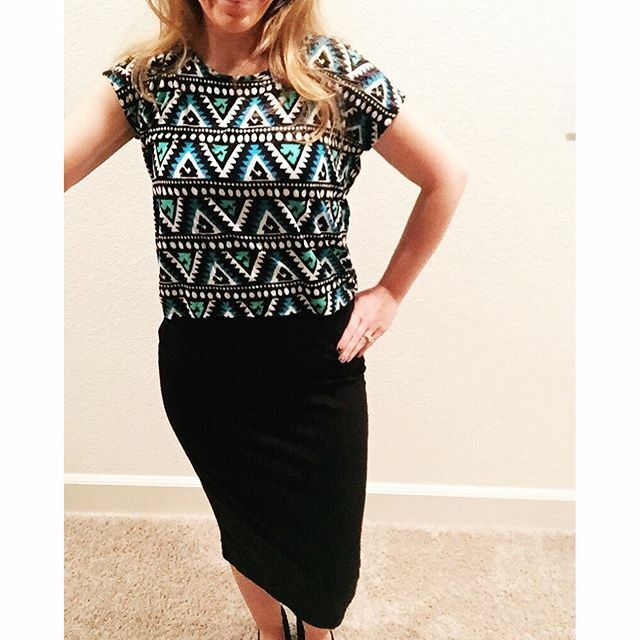 This is actually a high waist pencil skirt but the shirt is a high low and I decided to leave it open. Casual grey stripes closed out my week! 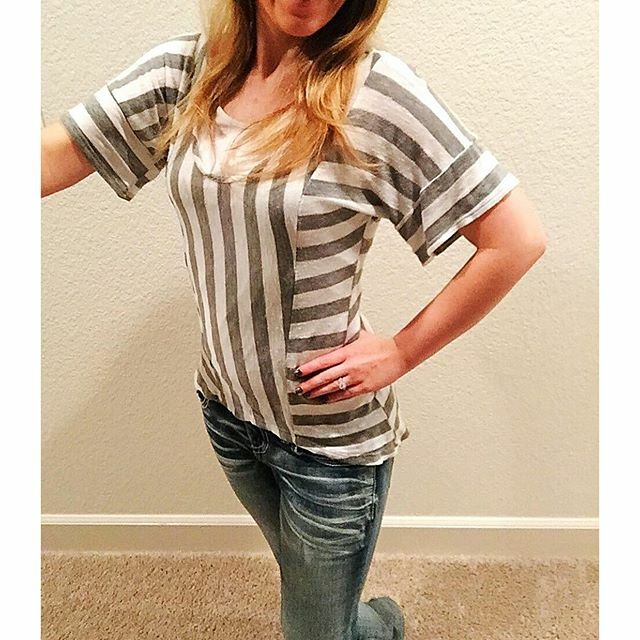 I love that the shirt mixes the directions of the stripes an centers the shirt. It also went with these jeans! 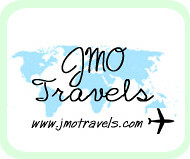 If you want to see my daily fashion daily you can come follow me on instagram @jmomiller! Let's see what I come up with for next week! The first dress is my favorite! You definitely have a gorgeous little collection of wearable vintage dresses! Love it!